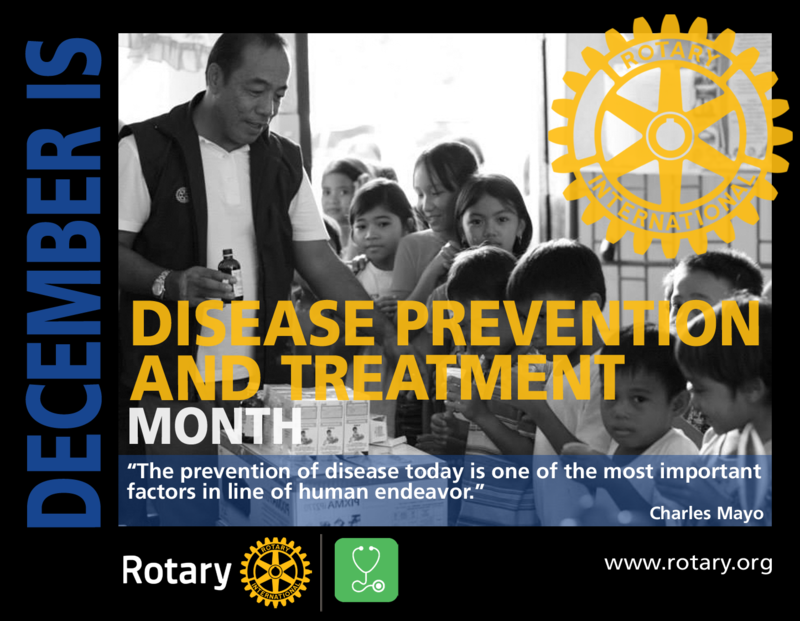 This month, we celebrate the work Rotarians worldwide are doing to combat diseases through effective treatment and prevention. In 1985, Rotary pledged to eradicate polio, and look at the progress that has occurred! Today, Rotary International has partnered with the World Health Organization, the Center for Disease Control and Prevention, the Bill and Melinda Gates Foundation and regional governments worldwide to complete this pledge. Although infectious diseases continue to be a major cause of illness and death across the globe, they are not the major health concerns for most developed countries. Now many people are seeing their lives shortened by chronic diseases such as heart disease, diabetes and cancer. Many of these conditions are not caused by infectious agents but are rather due to certain health behaviors and social conditions. 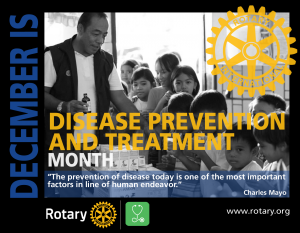 Rotary’s continued involvement in Disease Prevention and Treatment will thus need to be directed toward finding solutions to these social and behavioral determinants of health while continuing to fight against existing and emerging disease threats. You as a Rotarian have been enlisted as being a part of that fight. Thanks for all you do to support these important initiatives. This entry was posted in Presidents Corner. Bookmark the permalink.